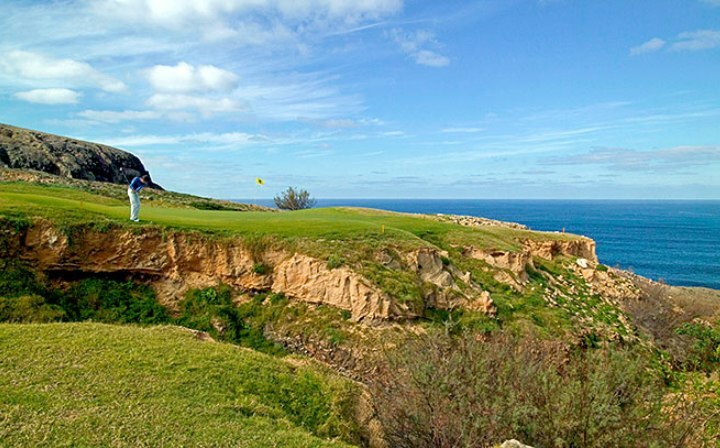 Porto Santo Golf Club is located in the Island of Porto Santo North east of Madeira, Portugal; a picturesque island 11 km long and 6 km wide with a charming 9 km sandy beach. 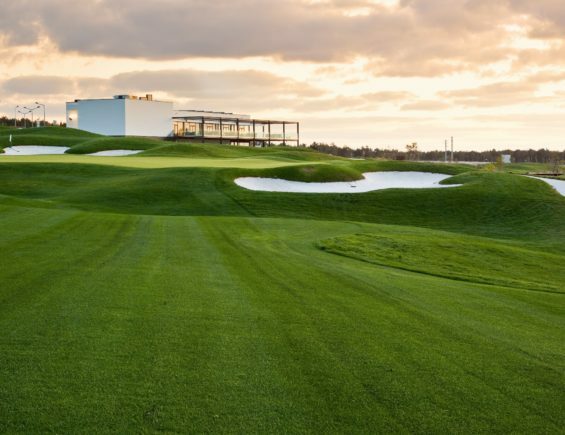 Designed by Seve Ballesteros the club opened October 1st 2004 offering an 18-holes par 72 course plus a 9-hole par 3 circuit (Pitch and Putt) with lights. In addition there are fine tennis courts and horse riding facilities. 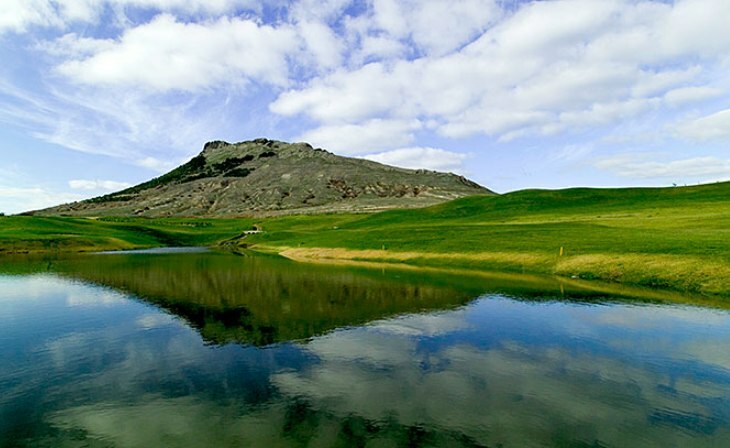 The course stretches all the way across the island from dune-rolling beach to dramatic basalt cliffs. It offers that ideal combination – natural beauty and a challenging game. The layout was designed to blend in with the natural landscape, and immense care was taken to minimize impact on the environment. Featuring two distinct zones – a South Course in the American tradition, dotted with lakes and demanding a long, precise game; and a North Course played along spectacular cliff tops. On the back nine, or North Course, you will not forget the particularly difficult long par 5 on the 10th hole, where you have to cross water twice, and then make sure you pick the right club for your approach to a small green. In sharp contrast to the South course, holes 13, 14 and 15 of the North Course are true links-style, played on top of a wind-swept cliff and offering stunning views. Spectacular views, the breeze of the ocean, contact with untouched nature, the great weather throughout the year make of this golf course a must during the whole year. 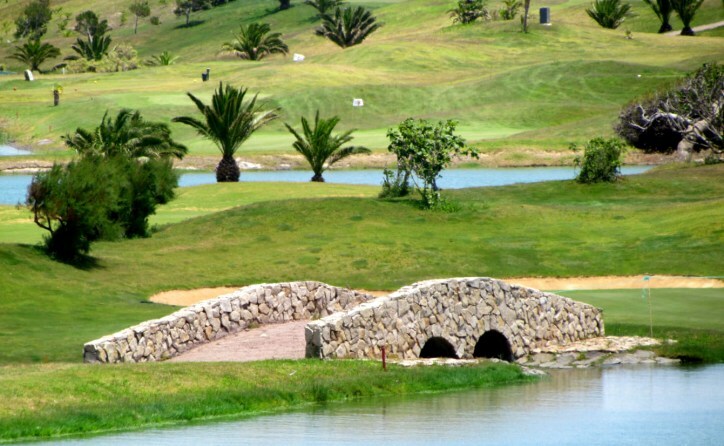 Santo Estevao Golf « Blog Justteetimes.